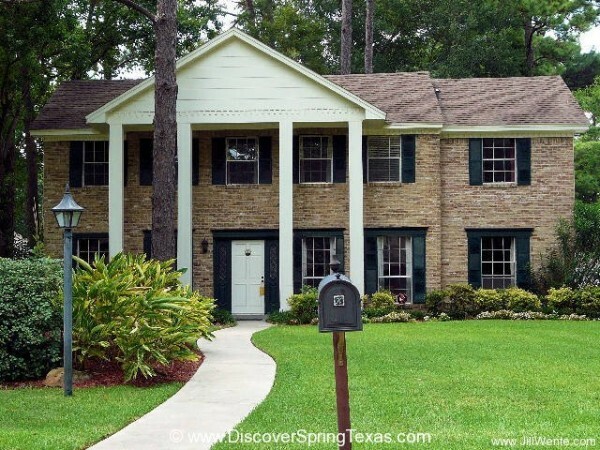 At the intersection of Louetta and Spring Creek Forest Dr. is the main entrance to the heavily wooded, established subdivision of Spring Creek Forest. Known for its large lot sizes, its cherished by those home buyers that desire a little breathing room between themselves and their neighbors. The median lot size totals 15,000 square feet which is almost a 1/3 acre. 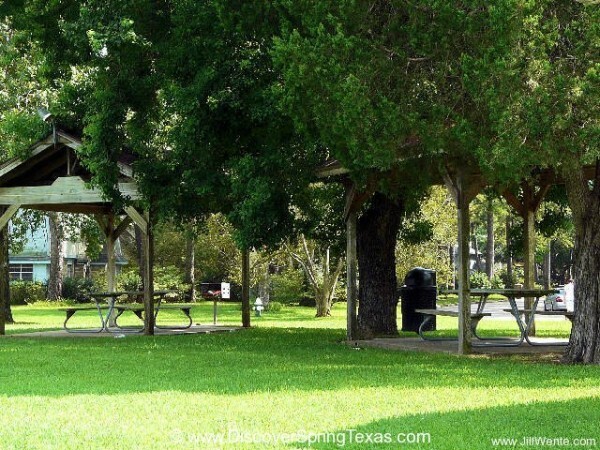 A focal point of the neighborhood is what’s known as the Spring Creek Forest “circle”. 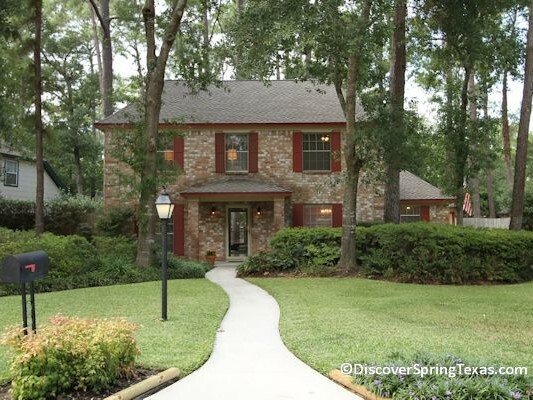 “The circle” is a 1.8 mile loop through the subdivision with Mocassion Bend to the South, Oakmaster’s Dr. to the North, Rustington Dr. to the West, and Fairway Oaks to the East. “The circle’s” wide streets and low traffic make it ideal for residents to walk, jog, run, or bike. And you will find many residents doing just that on a regular basis. 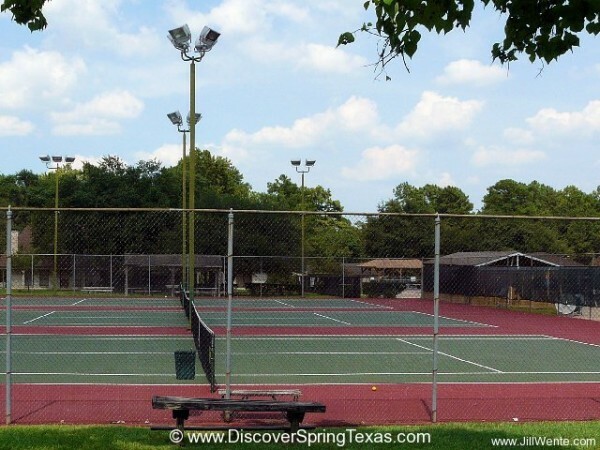 Neighborhood amenities include (6) lighted tennis courts, picnic area, ball field, a playground underneath what can be called nothing but a “majestic old oak tree”, Olympic swimming pool, and clubhouse. 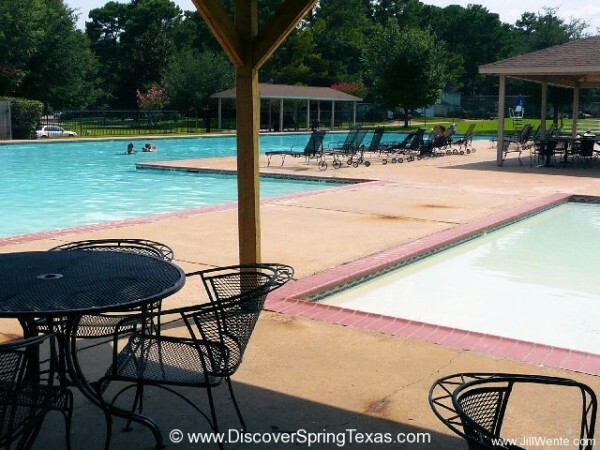 The clubhouse is available to rent exclusively by Spring Creek Forest residents for a small fee of $100. 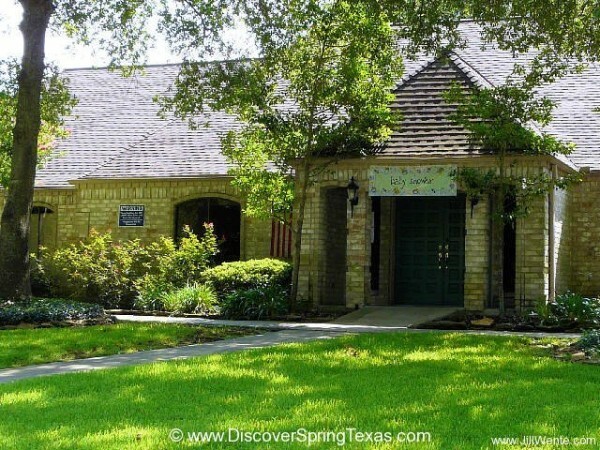 With a maximum capacity of 150 people and with enough table and chairs to seat approximately 60 people, the club house is the site of many birthday parties, and bridal and baby showers. 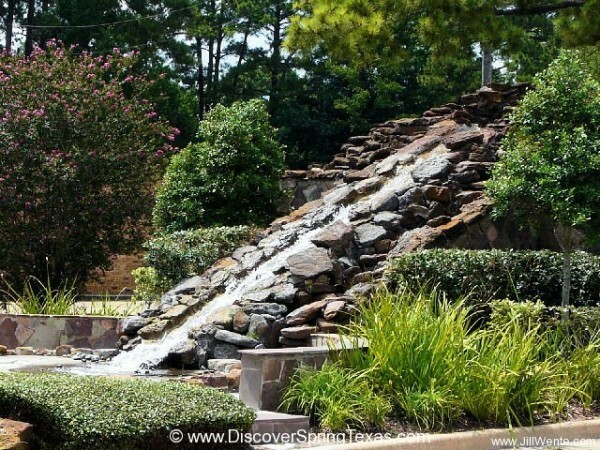 The annual HOA fee is $611. 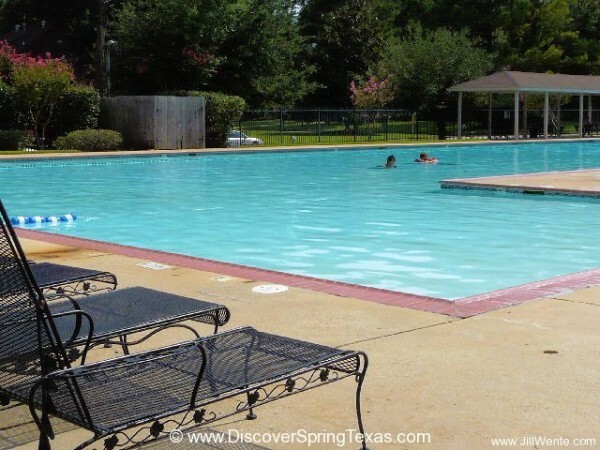 The subdivision’s swimming pool is home to the Spring Creek Forest Sharks swim team. The Sharks swimmers range in age from as young as 4 to as seasoned as 18 years of age. You can catch the Sharks in the water at one of their meets which run from May through the end of June. A great way for your children to develop their social interaction skills is during the neighborhood’s weekly playgroup. 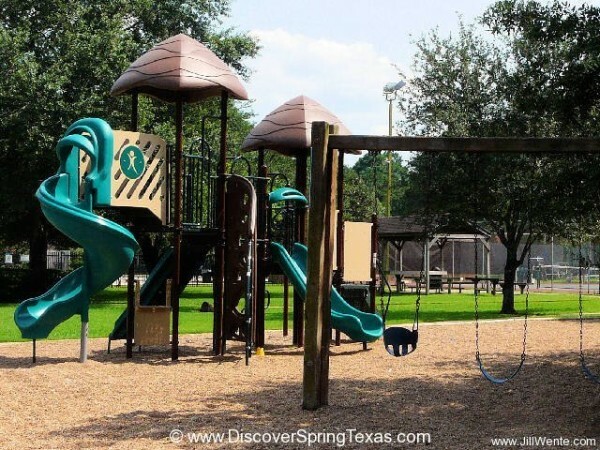 And if you have recently moved in to Spring Creek Forest, the playgroups provide you an opportunity to meet your neighbors. Spring Creek Forest residents don’t have to worry about remembering if they hauled their trash to curb on the twice weekly service days because the trash service provides back door pick up. As an added plus the lack of trash cans sitting by the curb keeps the neighborhood looking tidy. 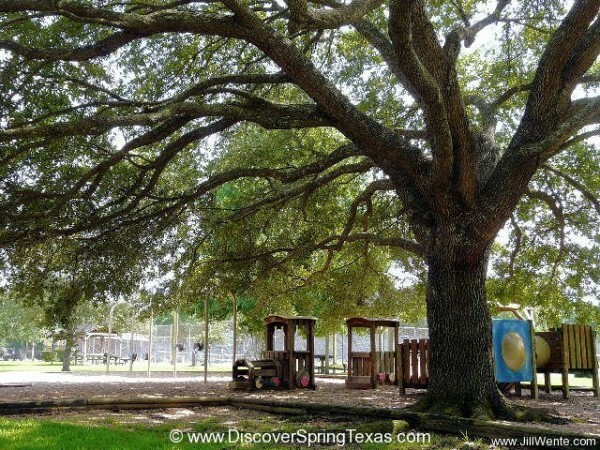 Spring Creek Forest is located in the highly acclaimed Klein School District, The younger kids enjoy a short walk to school as Ehrhardt Elementary is located in the Northwest corner of the subdivision. To learn more about the student – teacher ratios, campus demographics, and the latest TAKS scores and school ratings visit TEA ratings. The majority of the 583 single family homes were built in the 70s. The lot sizes range from 10,000 to 30,000 square feet with many of the larger lots being located around “the circle”. The architectural style of the homes are Tudor, Contemporary, Colonial or English Cottage. Common amenities in the homes include wood paneled dens with either vaulted or 2-story ceilings, wet bars, and built-ins. 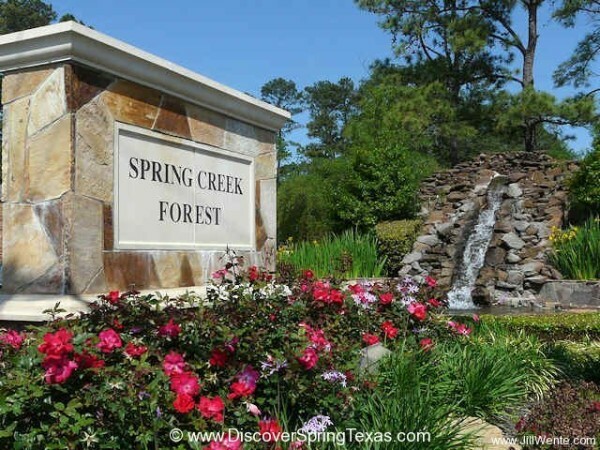 Spring Creek Forest homes range in price from $160,000 to $355,000 with a median home size of 2,600 square feet. You can expect to see the homes at the higher price range to have seen some level of recent updates. 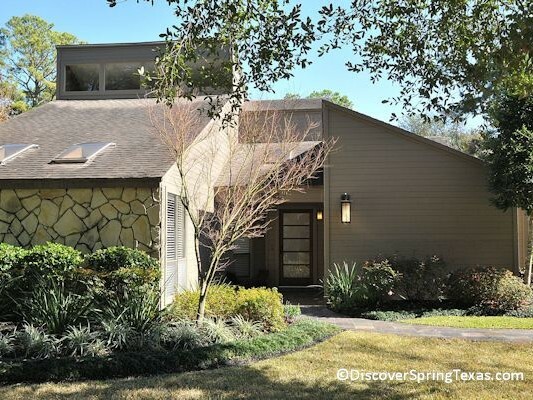 While the lower price range homes will remind you of the styles that were “in” during the 1970s.